Last year, I wrote a post about the Miniature Rifle Range at the Tower of London. 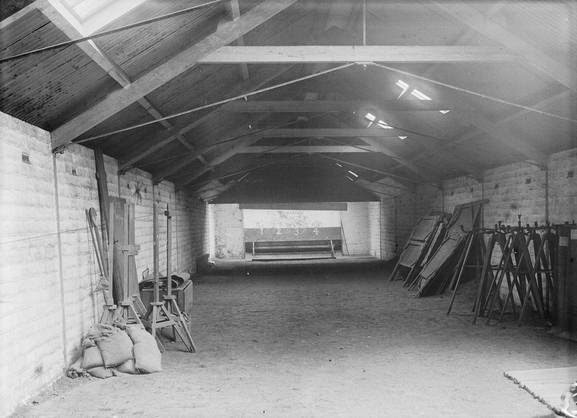 The rifle range was used for the firing squad executions of eight World War I spies and one World War II spy (Josef Jakobs). Two other World War I spies, Haicke Petrus Marinus Janssen and Willem Johannes Roos were not executed in the rifle range, but rather shot in the Tower moat. Their execution took place on 30 July, 1915. Why were these two men not executed in the miniature rifle range? Historical documents are a bit sketchy but simply indicate that the miniature rifle range was "not available". In October, 2014, I visited the National Archives in Kew and had a look at file WORKS 31/813. 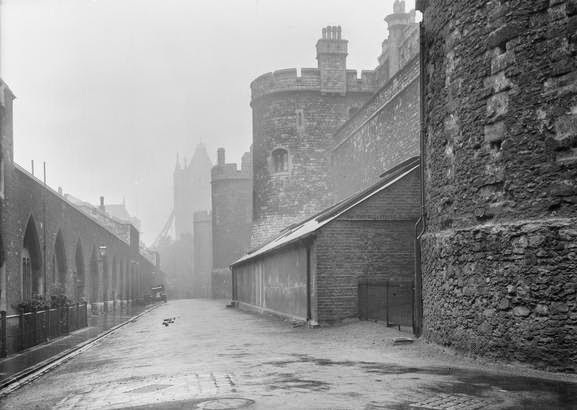 The file contained an architectural plan for a proposed miniature rifle range at the Tower of London, dated 19 July 1915. The mystery of why Janssen and Roos were executed in the Tower moat and not the rifle range is likely explained by this file. During the summer of 1915, a new miniature rifle range was being constructed. In additional to solving that historical anomaly, the plans for the rifle range also solve another question: at which end of the range were the prisoners seated? Were the prisoners seated at the Constable Tower end of the rifle range (southern end) or at the Martin Tower end (northern end)? Side view - Constable Tower to the left, Martin Tower to the right. 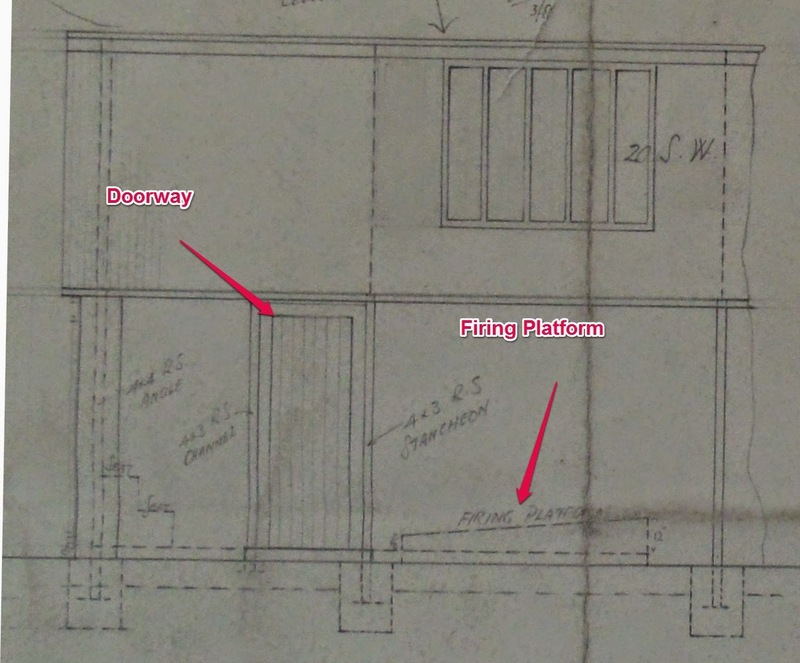 In examining the plan for the new miniature rifle range, one can see quite clearly that the doorway was located at the southern end of the building. The firing platform was located just to the right of the doorway and the target area was located at the northern end of the building. A birds-eye view of the plans clearly shows that the doorway was located near the Constable Tower. Birds-eye view of the southern end of the rifle range. Given the date on the 1915 plans, it is quite likely that the executions of Carl Hans Lody (6 Nov 1914) and Carl Frederick Muller (23 June 1915) took place in an earlier version of the rifle range, one that was torn down in the summer of 1915 to make way for the new version. 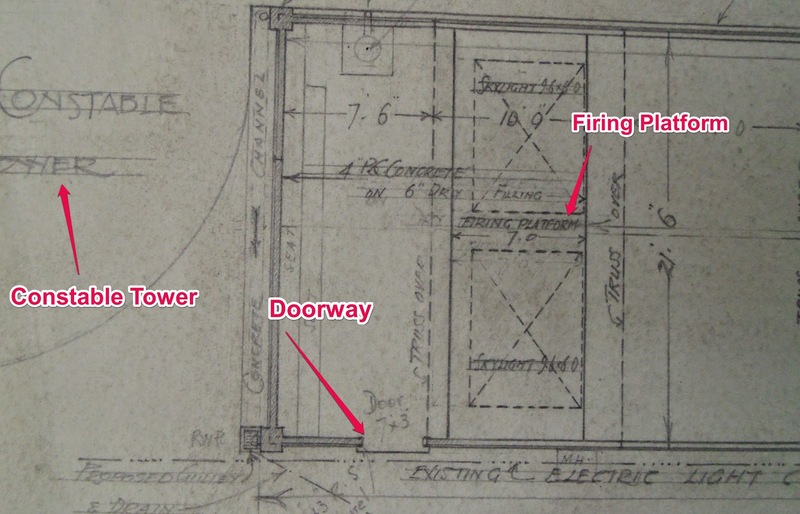 National Archives, Rifle Range Plan - WORKS 31/813. Shot in the Tower: The Story of the Spies executed in the Tower of London during the First World War. Leonard Sellers. Leo Cooper. 1997.